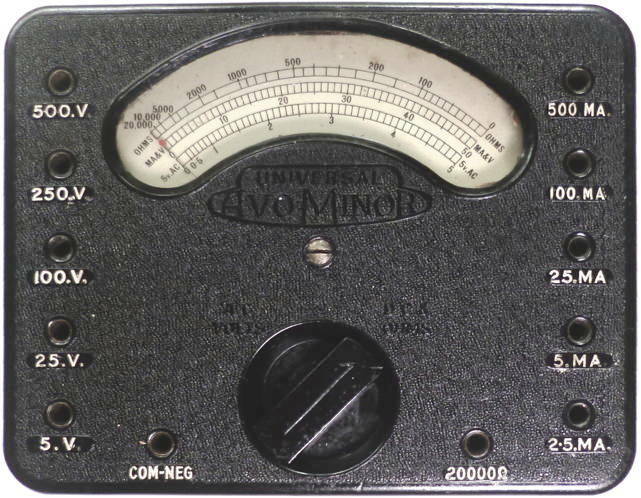 The original AVO Minor was a smaller version of the original AVO multimeter which started life back in 1923, and was a DC-only instrument The instruments shown here incorporate a copper oxide rectifier enabling AC measurements to be made. 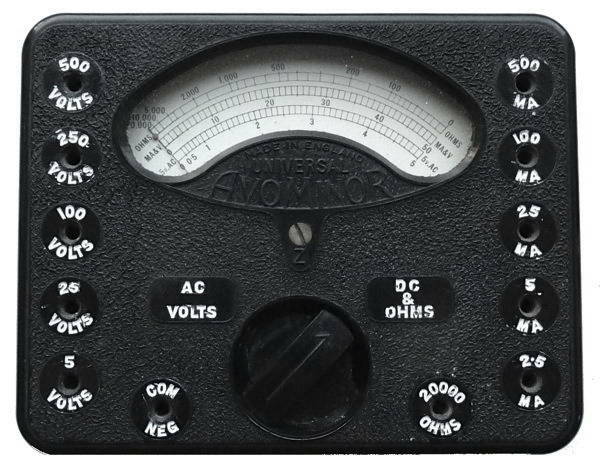 Though known for their Avometer general purpose multimeter's, AVO (or AWEECO as they were originally) made a wide range of test gear including valve testers, oscillators and light meters. You will find more information here about these instruments and other similar models. 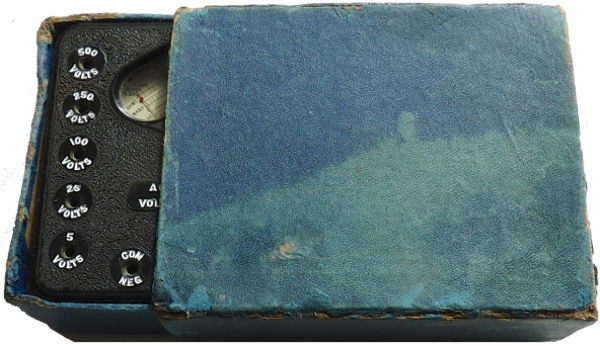 AVO also produced a range of the smaller multimeters such as those shown here which are described here. 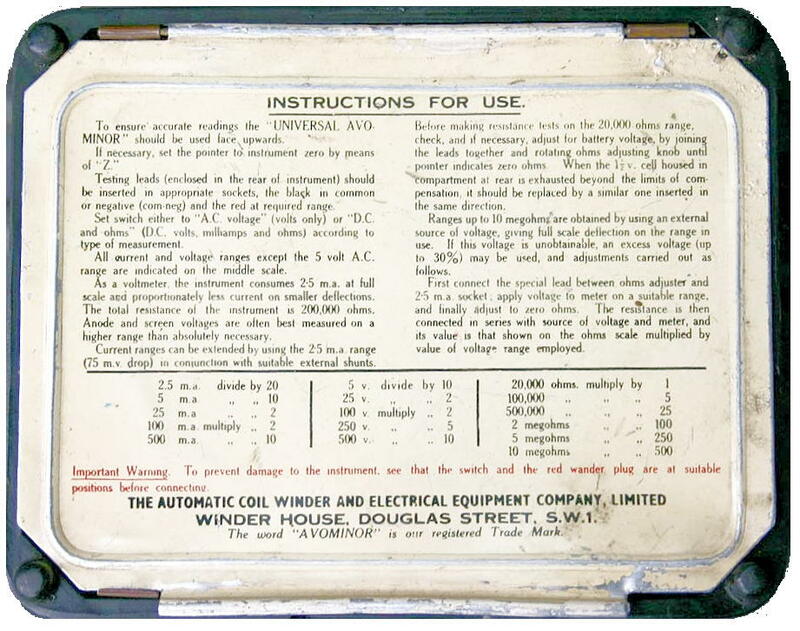 I purchased two of these little meters on Ebay in 2014, the first came complete with leads, instruction booklet dated 1942 and a well used box as illustrated below. It was scruffy but the movement worked and the meter appeared to give correct readings on the AC and DC voltage scales but the ohms range refused to function. 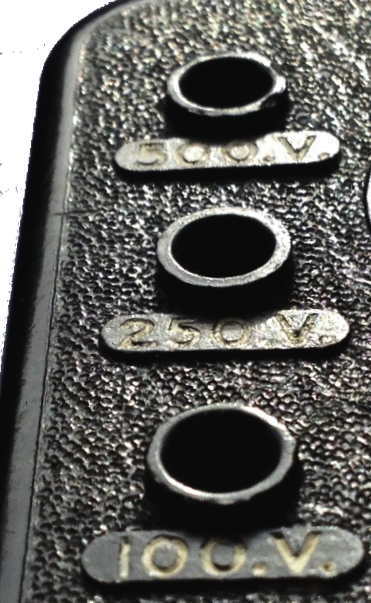 I discovered that the resistor just to the left of the meter in the above image was open circuit in three places, due to corrosion caused by dampness reacting with the flux used for the soldered connection. I unwound the coil and soldered and paper insulated the joins I had to make and rewound it by hand. When tested with a couple of standard resistors it was found to be accurate at 100 and 1000 ohms but a little low at 2000 ohms. The second meter is externally identical except in one small respect, the scale plate is marked "Mod1" I wonder if this is because of the change in design to incorporate a different rectifier. I adjusted the magnetic shunt on the 1952 meter to improve the accuracy as it was reading about one division low at full scale. The engravings on the front panels were refilled with white "Snopake" correction fluid which was carefully applied allowed to dry an then rubbed off. 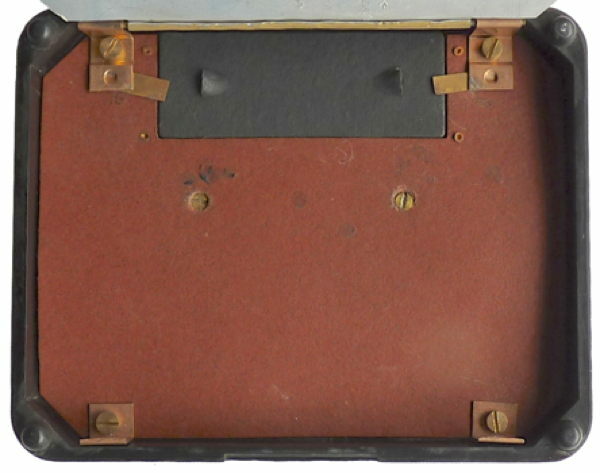 The copper parts in the battery compartment and the hinges and screws for the back cover were cleaned using dilute hydrochloric acid (lavatory cleaner) before re-assembly. This 1945 meter U76386-445 was given to me by Peter Burgess the son in law of Kenneth William Mobbs (1925-2017) who was a talented musician lecturer and keyboard collector. He originally studied Physics at Clare College and was ‘extracted’ from his course to work as a technical assistant at TRE towards the end of WW2. He subsequently studied music and became Senior lecturer at Bristol University but kept up his interest things electronic. 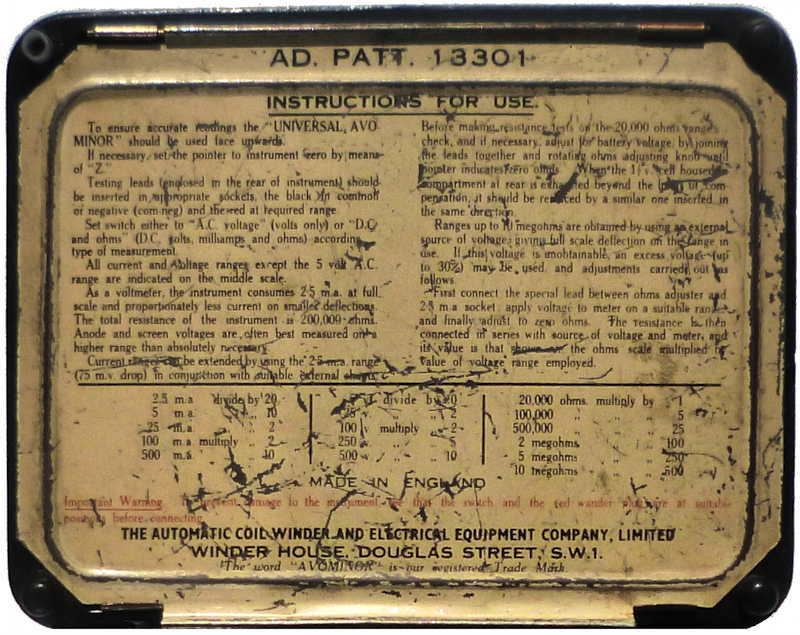 The meter which was housed in a purpose made wooden box is interesting because the front panel moulding has raised surrounds and the back panel indicates that it was a naval item (AD PATT 13301) You may come across meters with the Air Ministry stores reference 10s/10610. 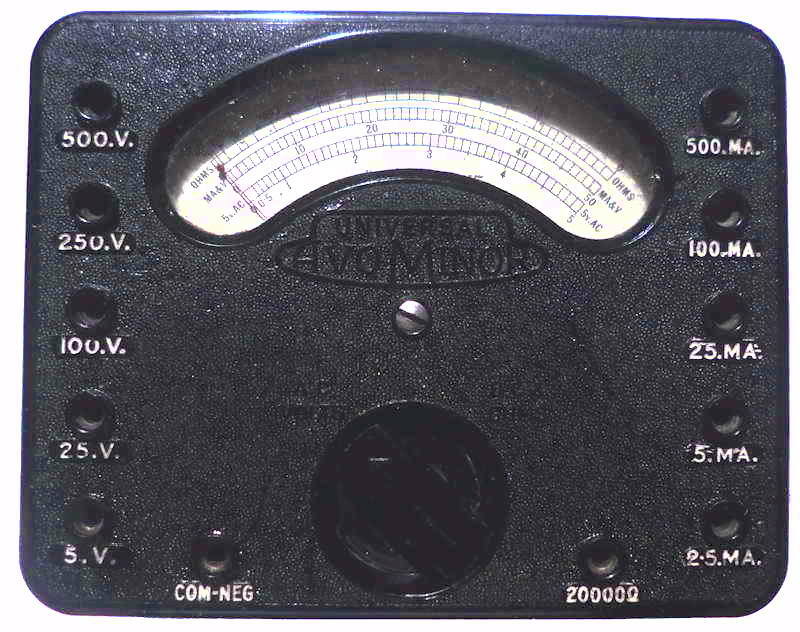 I was given the earliest meter (U22080-95) which formed part of a collection of many instruments collected by Bob Evans by his daughter Alice Kirby. Like the one below it was complete with original battery. 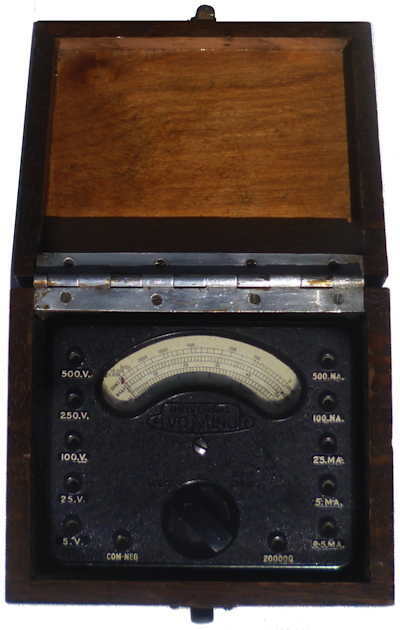 It would seem that this must have been one of the first meters that Bob owned, as it came complete with a calibration and test certificate dated 1948 from the department in which he first started work. 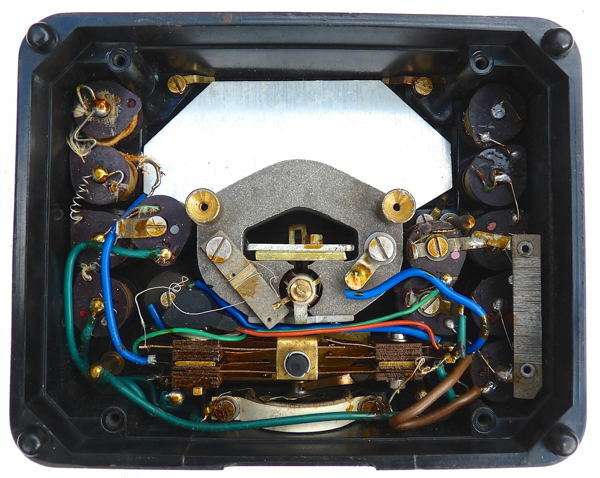 This meter (U87819-246) was given to me by Adam Russell who thought that it belonged to his great uncle who used to repair TVs. 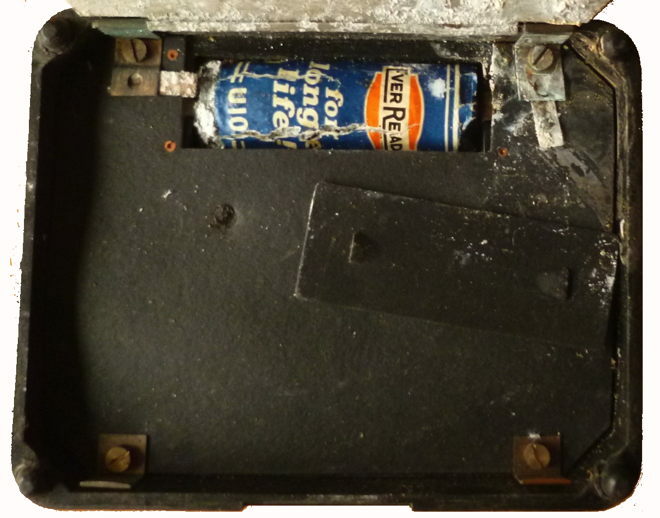 It clearly had not been used for many years as was evident from the state of the battery compartment yhough the cardboard box had kept it relatively clean. 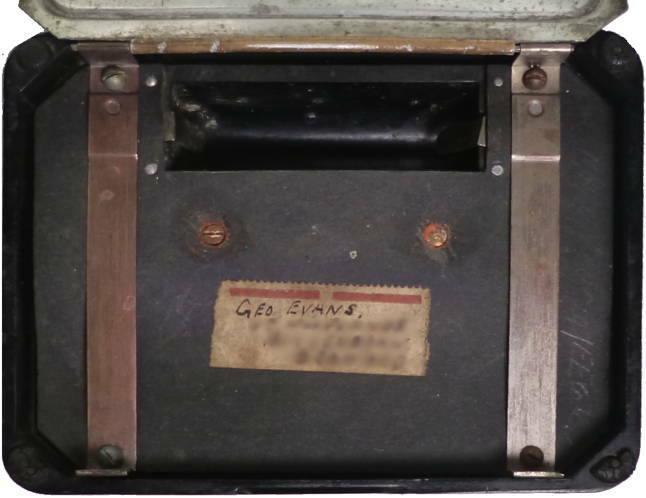 The leads are stored in the back of the instrument which is accessed by flipping back an aluminium cover which has the instructions printed on it. 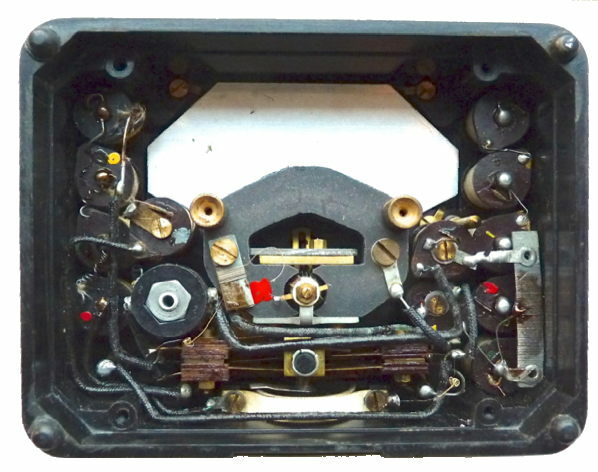 The battery compartment was designed to take the now obsolete EverReady U10 which is the same size as one of the cells in a 4.5 Volt flat cycle lamp battery. I have used a AA cell with a metal spacer. 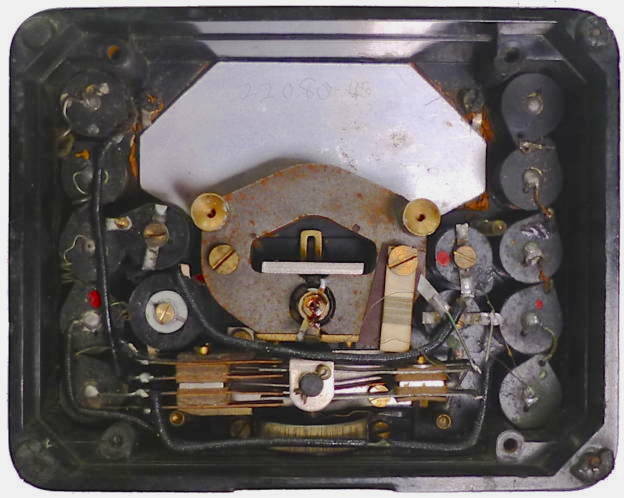 The 1952 and 1945 instruments which had no leads have a black interior cover but otherwise is very similar. Test leads The sockets are 1/8 inch which is just over 3mm. I have not found a supplier for suitable leads and make my own. 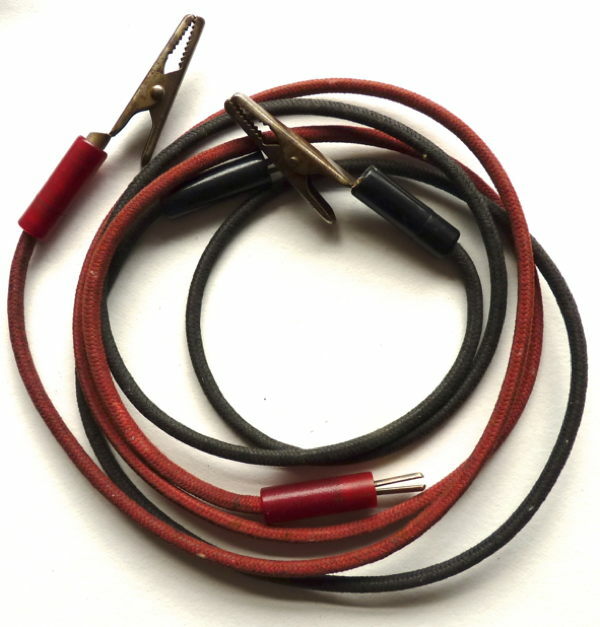 Most sets of leads you see on eBay or Amazon are 4mm. I guess you will have to look for 3mm banana plugs which are split and can be tweaked to fit and change the plugs on your purchased leads. What is it worth? Rgere sstill many of these sturdy instruments about so expect to pay £5 to £10 for a working instrument.